A terrorist blew himself up, injuring five policemen during a raid against Islamic State (IS, formerly ISIS/ISIL) in a Turkish city near the Syrian border, the local governor's office says. Turkish soldiers are reported to have killed four Islamists. The incident occurred on Saturday when members of the Turkish anti-terrorist forces broke into a supposed IS hideout in the city of Gaziantep, AP reports. Two female terrorists were detained in the raid, and three children have been put under the care of state services, the Gaziantep governor’s office said in a statement. Explosives and machine guns were found during the raid. A few hours before the blast, other terrorists opened fire at a military vehicle near Turkey’s southeastern border, the Anadolu news agency’s army sources say. 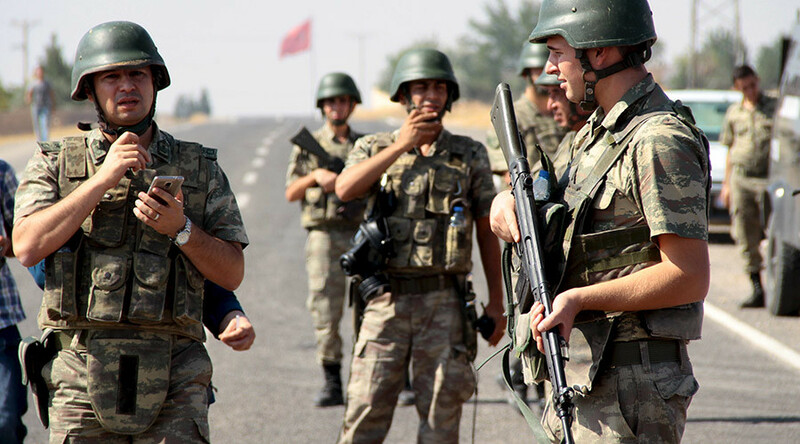 As two cars full of militants were trying to approach Turkish soldiers, the military warned them to stop. However, the IS fighters started shooting, which resulted in four occupants of one car being killed. The other vehicle got away and it hasn’t been reported how many militants were in it. The Hurriyet newspaper cites the Doğan News Agency, saying the terrorists’ car fled across the Syrian border, which was less than 400 meters away. Currently, there is no evidence that the two events in Gaziantep state are connected. Security has been tightened in Turkey in advance of the G20 summit to be held in Antalya, November 15-16. The threat of global terrorism will be the key issue there after Friday’s terror attacks in Paris. At least 129 people died in the violent attacks across the French capital, most of them in the Bataclan theater, where people had been held hostage and executed one by one.